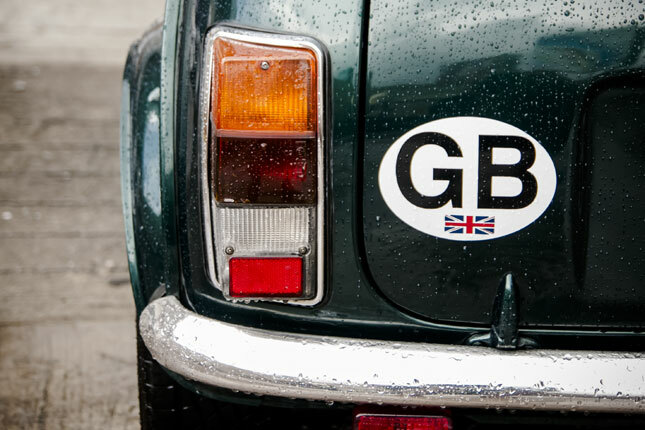 Being a classic British icon, the Mini Cooper has quite a fan base all over the world. 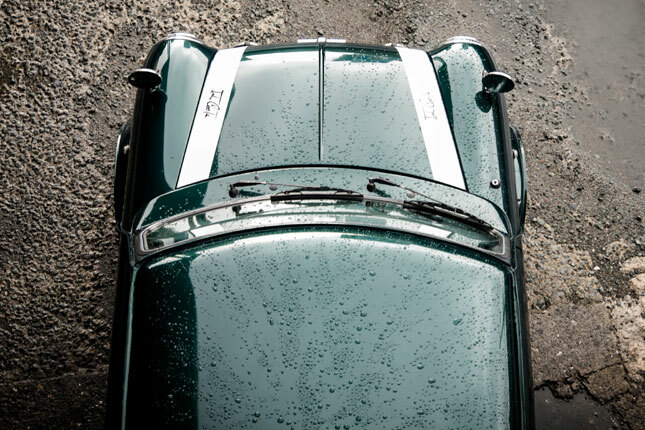 It's just one of those cars that enthusiasts enjoy. And what's not to like about it? Designed in response to the Suez oil crisis of the late '50s, it was for families who wanted to have a fuel-efficient transport during the week, and a means to go on picnics during weekends. Not to mention it was damn easy to park. Everything about it was practical and made sense to people back then. The car appealed to people from all walks of life. 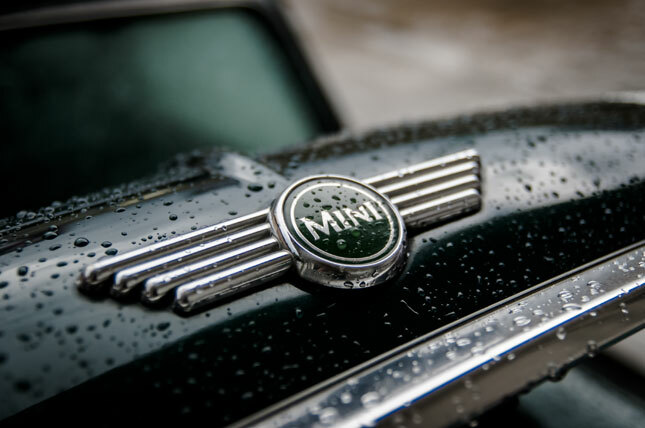 Celebrities owned Minis. So did the working class. Girls adored the cute little ride. Some owners even passed on their cars from generation to generation like heirlooms. 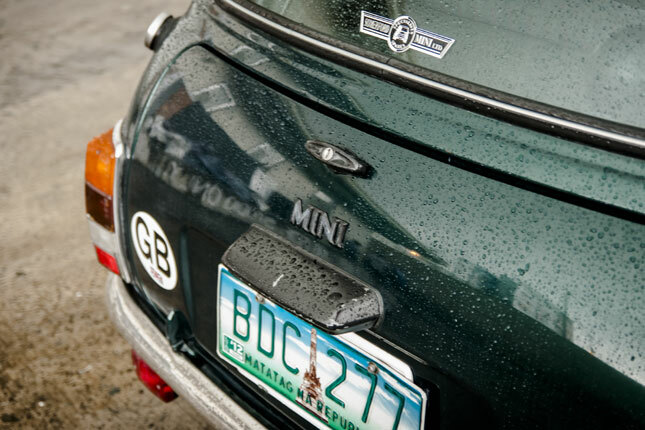 The fine British Racing Green example you see here belongs to architect PJ Miranda. He has owned it for over five years now. 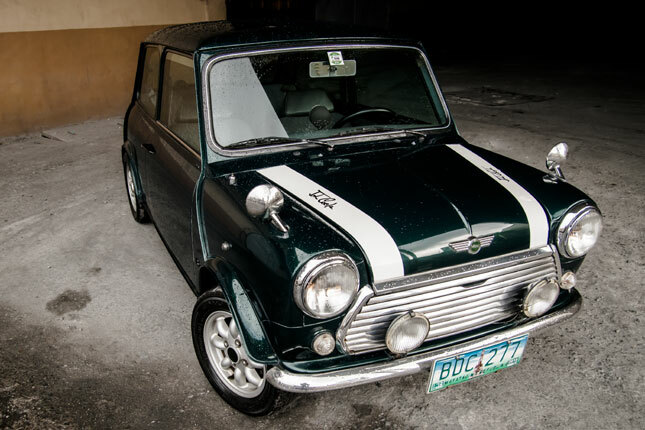 As a collector and restorer of classics, PJ took his time hunting for this 1993 Mini Cooper. 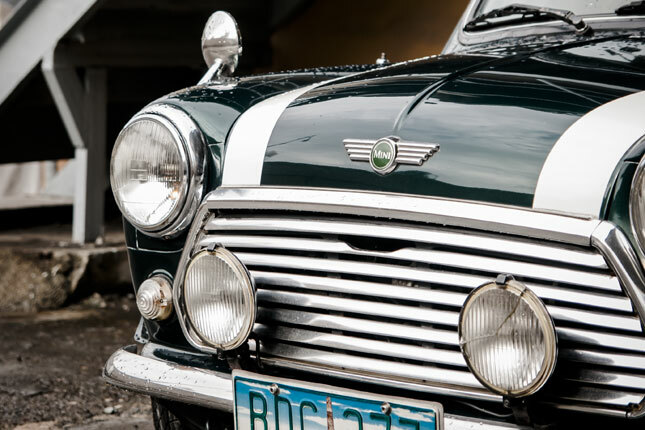 The car did come with a few bugs, but with his experience with working on a myriad of old makes and models, the problems were easily resolved. 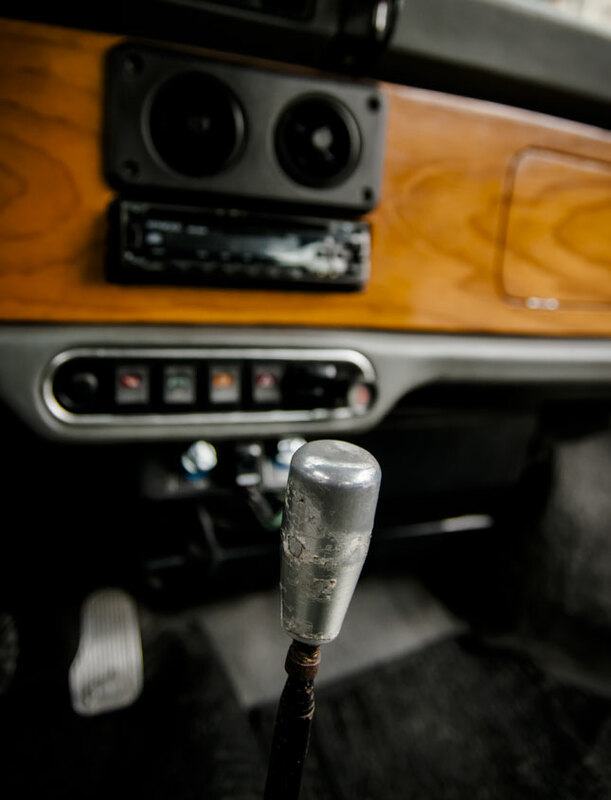 If you have plans of driving or restoring an older car, be prepared to do a little work on it before going on that epic road trip. 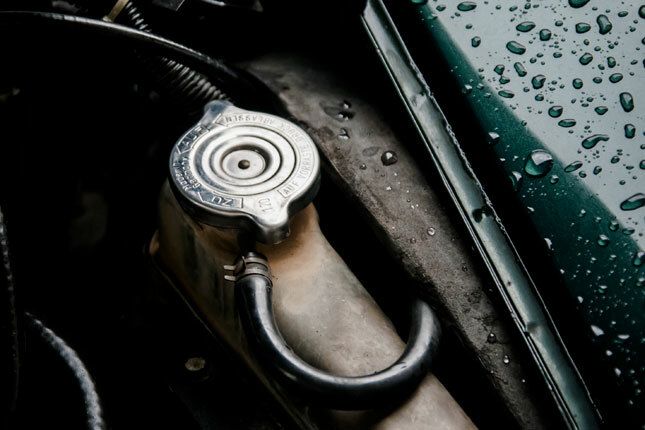 Do all of the repairs correctly and with the proper parts, and you will have a car that is pretty reliable. Just avoid doing any shortcuts and things will be fine. 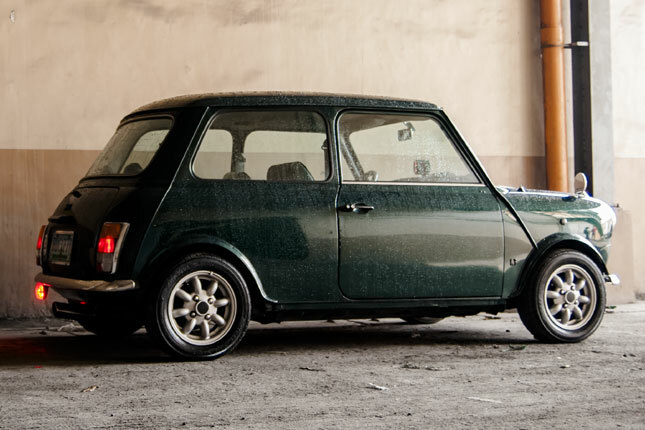 This Mini was from the pre-BMW era, but it already came with some handy modern amenities. 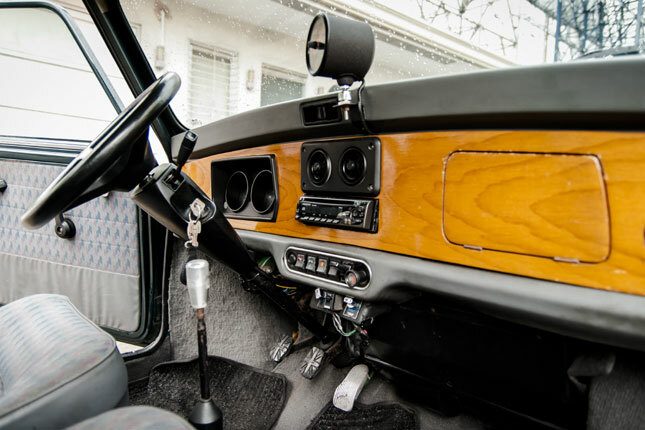 There's an OEM air-conditioning unit, and there are wind-up windows instead of sliding ones. The seat fabric was from the '90s, but still faithful to the original that had been available in much older Minis. 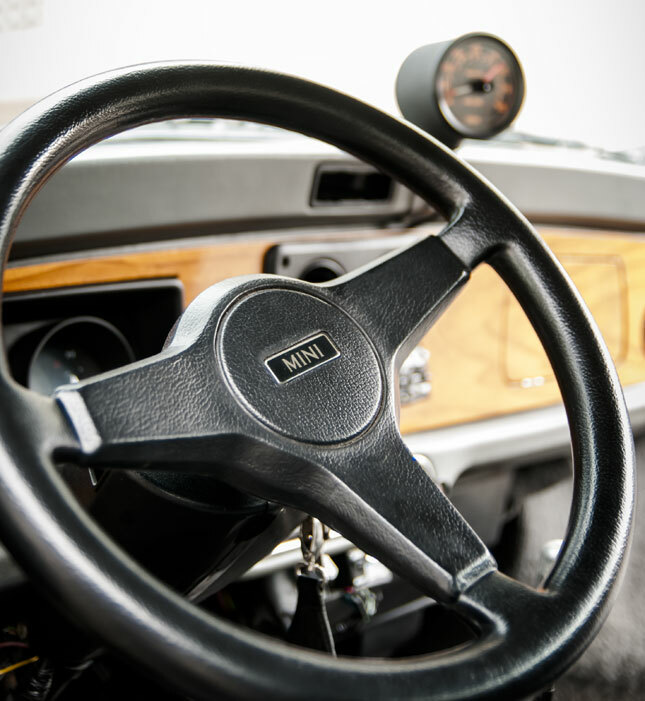 Even the steering wheel boasts the trademark awkward truck-like position, giving the driver more knee room to operate the pedals. 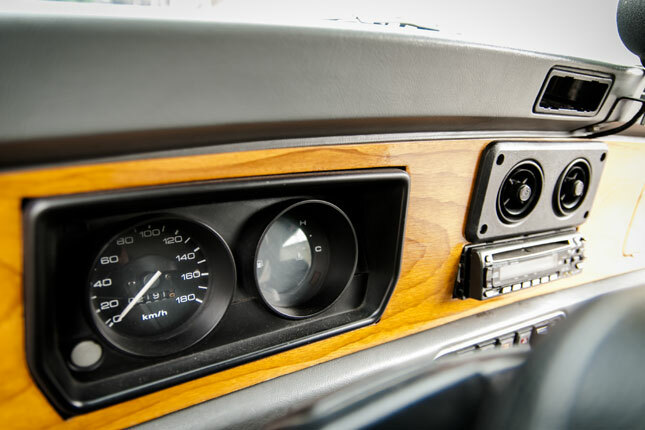 The interior is still very fresh even though the car is regularly used. Under the hood, it's all form over function, with a cramped 1.3-liter fuel-injected engine lying on a transverse gearbox. The setup gives the car more interior room despite its puny size--you'd be surprised how spacious it feels inside. 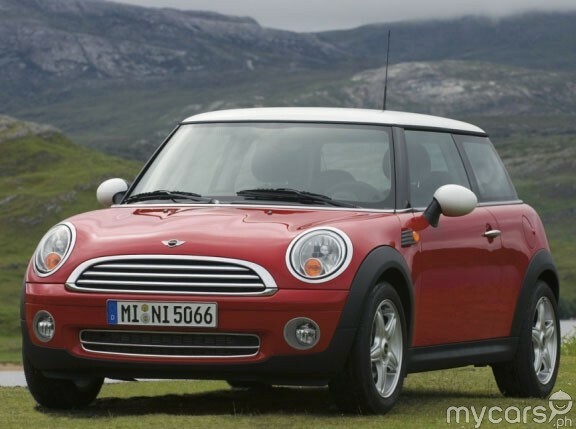 As for fuel efficiency, this Mini can keep up with some of the new compact cars we have today. It's still living up to why it was built in the first place. It can still do all that is asked of it. 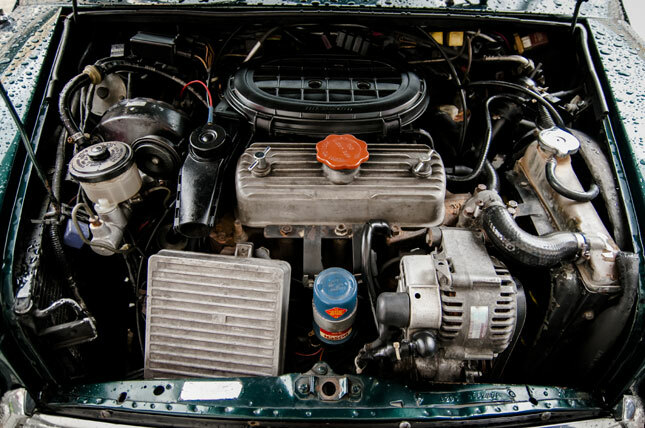 PJ notes that when going for classic cars, it's better to wait for a unit in good condition rather than having to do endless parts-hunting and repairs. 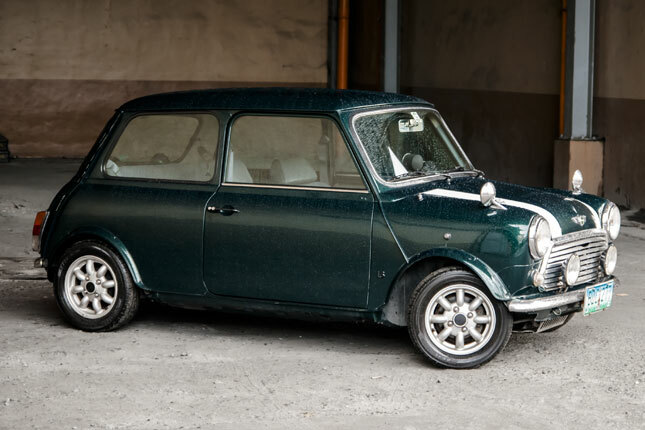 He also made sure this Mini is an original left-hand-drive unit and not a converted one before making the purchase. And he actually made a good bargain for it. 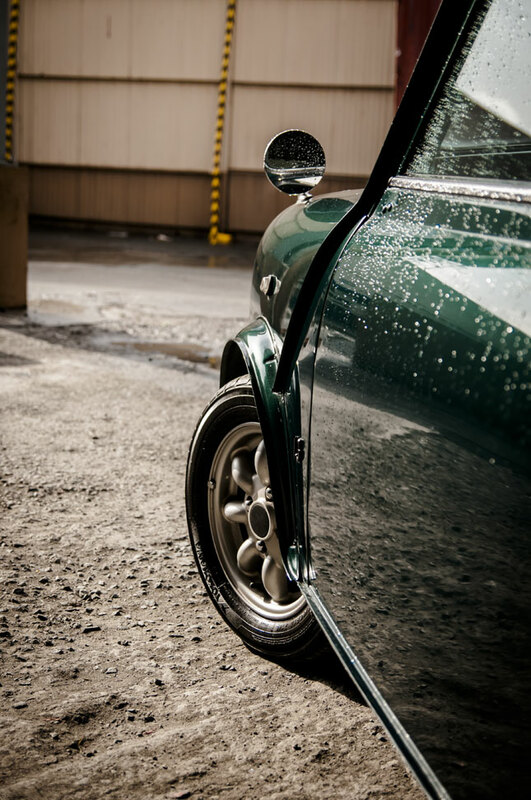 "I've been restoring my own cars, and I just wanted a well-maintained purchase for a change," he shares. "Once the bugs were out, it was ready to drive." Owning and maintaining a good unit like this does not take much. Just do the regular oil changes and tune-ups, and everything will work just fine. 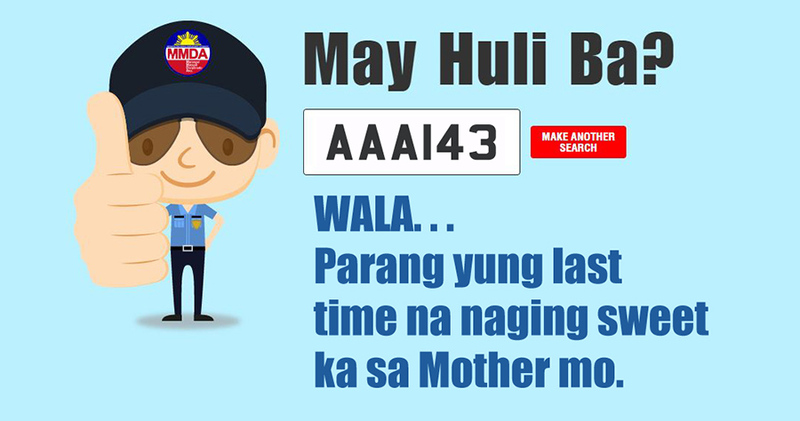 On the road, drive it as it's meant to be driven--carefully and not too hard. Even the very unique rubber suspension (known as 'siopao' among local Mini fans) on this one has not been changed or modified under PJ's ownership. 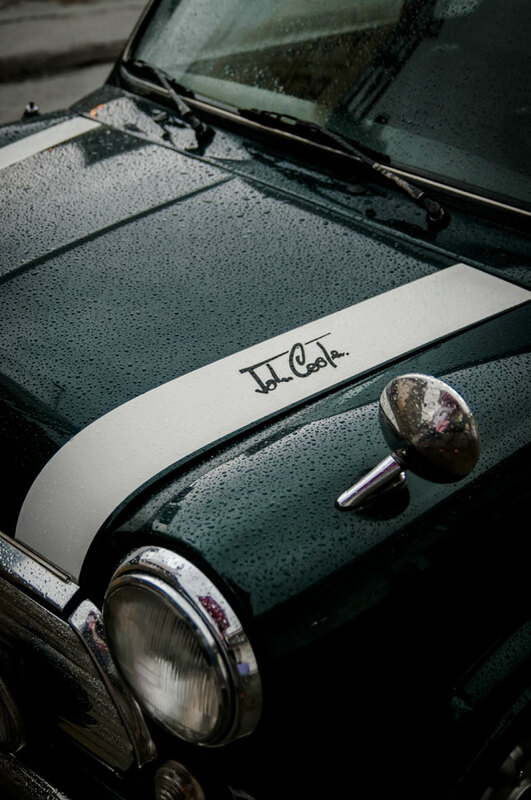 "This Mini has been driven to and on the track," PJ boasts. He adds that his family once loaded it with picnic gear for a weekend event. "I was with my wife and kids driving up north, and I noticed that even with load, the car could still keep pace with other vehicles on the highway." What's more, it could overtake other two-door classic sports cars with bigger engines on the track. The secret: go-kart handling that allowed PJ to attack corners with ease and exit them at full throttle. 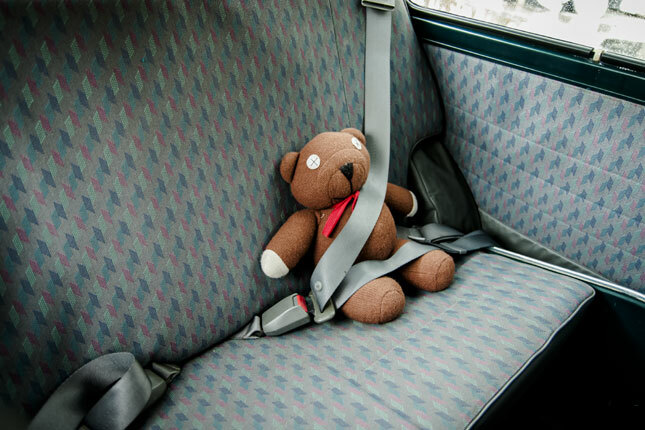 And at the end of all that action, he still managed to drive home without any problems. PJ loves his Mini because he can use it just like in those vintage advertisements showing the car doing a whole bunch of things. "It's fun to drive," he says. 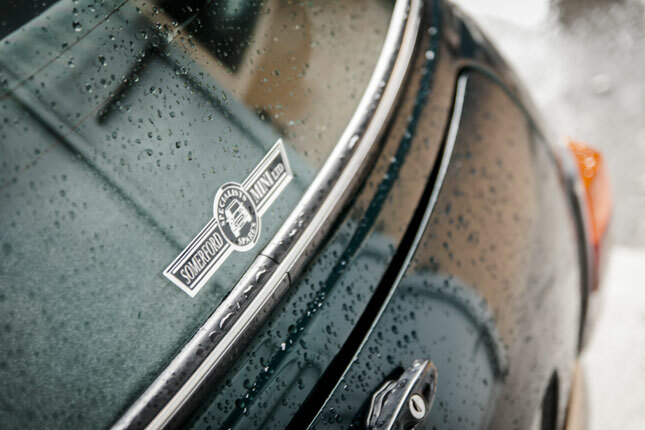 "Every enthusiast should experience the Mini at least once in his life. He won't regret it." NOTE: This article first appeared in Top Gear Philippines' August 2015 issue.